The Fort Pitt Museum offers both guided and self-guided tours that meet the needs of a variety of audiences. A reservation is required for all school-based or group tour visits to the Fort Pitt Museum. For more information or to reserve a group visit, please use the Fort Pitt Museum education request form. If you have any questions, please contact Education Manager, Kathleen Lugarich, at 412-454-6418 or kmlugarich@heinzhistorycenter.org. Learn how Pittsburgh began by exploring the conflict over the forks of the Ohio River between the British, French, and Indians during the 18th century. 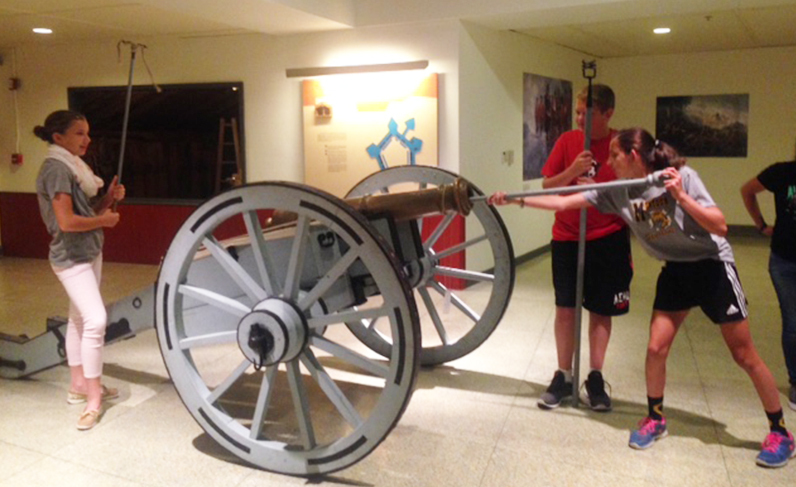 Students will explore the timeline of the French & Indian War and participate in hands-on activities related to life at Fort Pitt, which may include a cannon, musket, or marching drill. Students will also learn about the fur trade that made Fort Pitt, and the Point, a major trading post between Europeans and Indians in a recreated fur trading cabin. Experience over 250 years of Western Pa. history by visiting both the History Center and Fort Pitt Museum, located just one mile apart, in one day! You will enjoy a tour at one museum, then board your bus for transportation to the other site all for a combination group tour price. Lunch space may be reserved at the Heinz History Center, or students are welcome to eat outside in Point State Park. Please follow these directions for bus parking for your Fort Pitt Museum field trip. For more information and to request a tour or education program at the Fort Pitt Museum, please fill out this form. 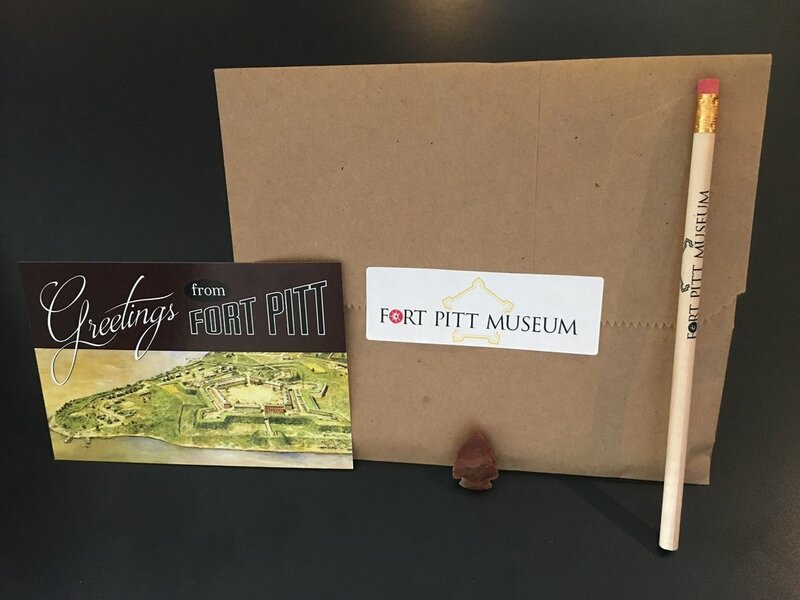 The Fort Pitt Museum offers a $3 gift bag to visiting school groups. The bag contains an arrowhead, postcard, and Fort Pitt pencil. If you would like to get gift bags for your students, please ask to add them to your tour confirmation when booking your tour. Bags must be ordered at least 30 days prior to your tour. Want your family reunion to learn more about Pittsburgh or add a museum experience to your meeting? The Fort Pitt Museum welcomes adult and family group tours by offering discounted admission rates for groups of 10 or more paying visitors. Tours can be self-guided or guided, but a guided tour is an additional $25 per docent required. Reservations: Call Education Manager Kathleen Lugarich at 412-454-6418 to make a reservation.